WTV is short for Windows Recorded TV Show. It is a video and audio file container format, used to store TV programs that Windows Media Center records. WTV files can be played only on very few media players like Windows Media Center, Nero 12, etc. And there is nearly no video editor that supports H.264 WTV. If you have some WTV recordings and want to watch or share them more conveniently, you can convert WTV to MP4 with an intelligent WTV to MP4 video converter. Directly convert WTV to MP4, AVI, MKV, MOV, and other 1000 formats. Burn WTV to DVD disk to play with your DVD player. I will tell you how to convert MTV to MP4 for Windows (Windows 10 included) below. Also you can get a brief guide on how to convert WTV to MP4 in Mac, just follow the same steps below. Step 1.Load WTV videos to the WTV to MP4 converter. Hit the Add Files icon on the top left corner of the window to load the WTV videos you want to convert. Or simply drag your target videos to the program window. After you import the WTV files, you can see them displaying as video thumbnails in the left item tray. Step 2.Choose MP4 or devices as the output format. On the right side of the program window, there is an Converte all files to pane, where you can click the format icon to pop up the output format window. Next, select Video subcategory and then choose MP4format. If your final goal is to play WTV files on some MP4 device, here, you can directly select Device as the output format. This app contains almost all popular devices. 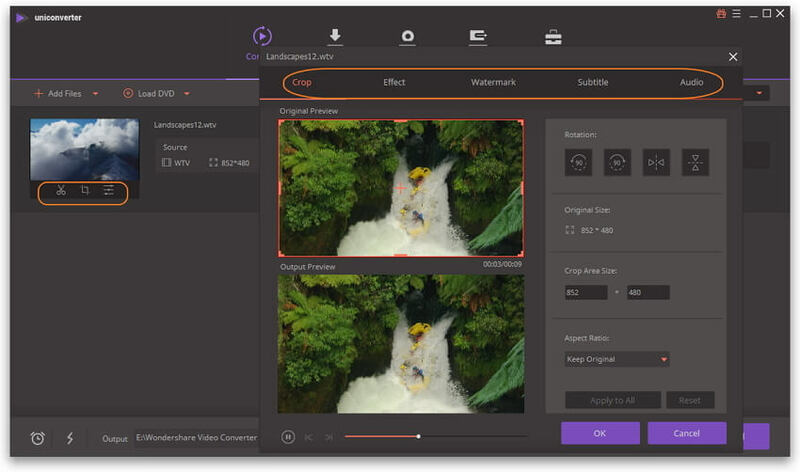 Note: In addition, you can click "Settings" option beside the resolution of the "Output Format" pane to adjust encoder, frame rate, resolution, bitrates and other parameters. By default, this app sets the some popular options for you. 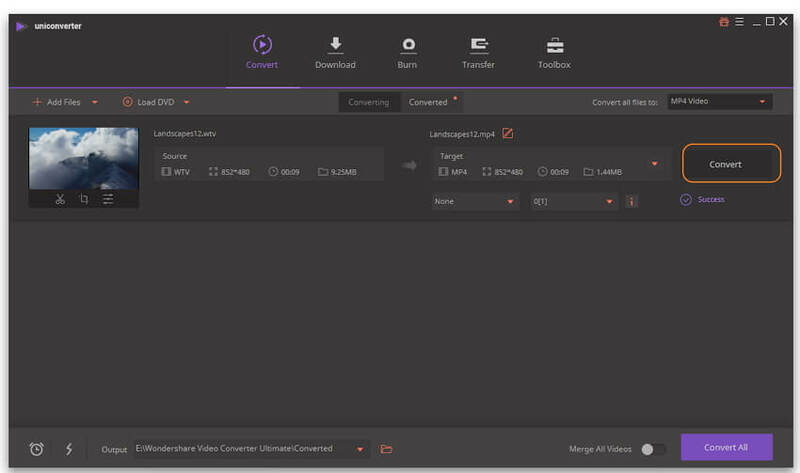 Besides converting video formats, this Video Converter also offers you some cool video editing functions, such as trim, crop, merge multiple videos and set video brightness/contrast/saturation, etc. (Simply click the one of the Editing icons under the video thumbnail to open its editing window). Step 4. Start the WTV to MP4 conversion. After everything is done, click the Convert button to kick off the WTV to MP4 conversion. For your convenience, you can let it run in the background, so you can simultaneously do other jobs with no distractions. Note: If you meet any problem to convert WTV videos with Wondershare UniConverter (originally Wondershare Video Converter Ultimate), please download and install Microsoft Plug-in LAV Filters 0.72 firstly, and restart the video converter. It is totally a free WTV to MP4 video converter. Just take it to enjoy your FREE WTV to MP4 conversion. 1. 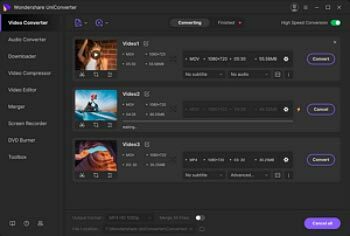 If you want to convert WTV to 3D or HD videos without watermark, this free converter can't make it. 2. It only lets you download YouTube videos online. 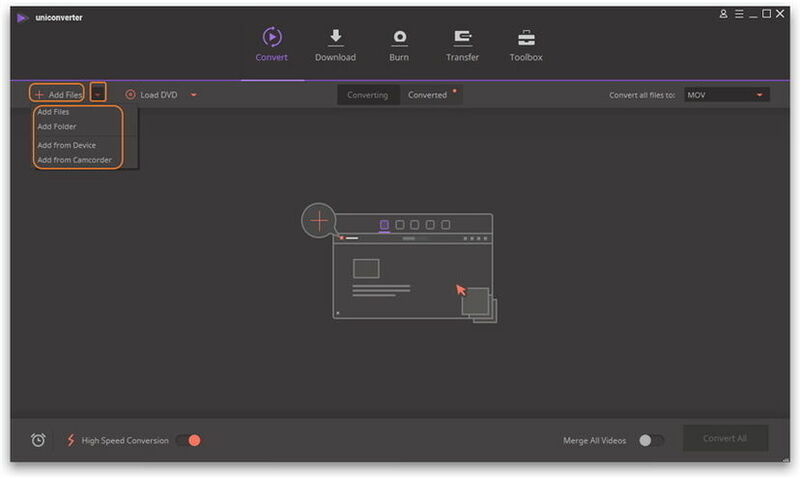 Wondershare Video Converter Free is actually an all-in-one WTV to MP4 video converter. Just download it below to enjoy the great conversion experience it brings. 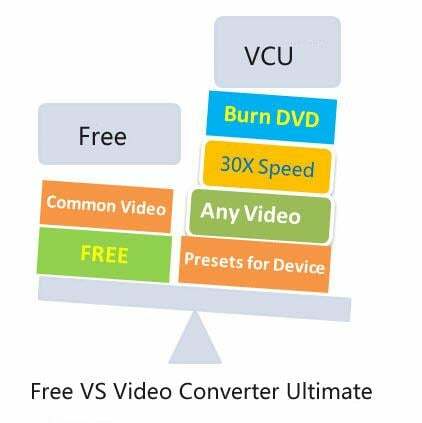 For free WTV to MP4 conversion, if you don't want to install any software, a free online converter will be your option. 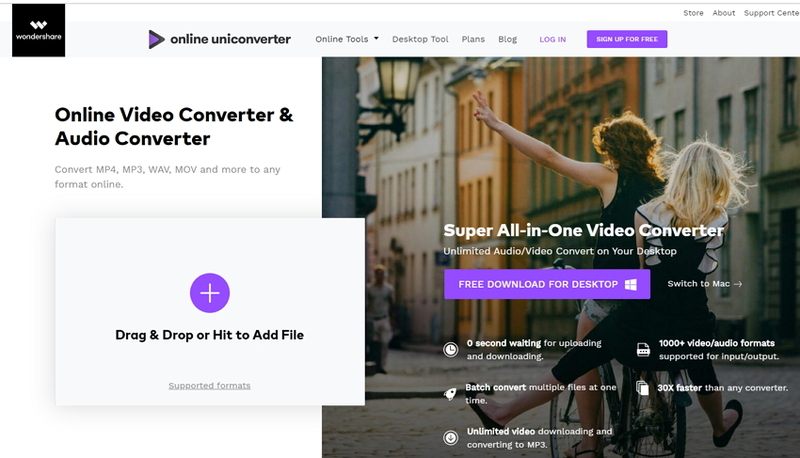 Online UniConverter (originally Media.io)is one of the best video/audio converter which can convert files very easily. It supports many popular formats and can meet the basic conversion needs.